Author: Swan, Thomas Set In . 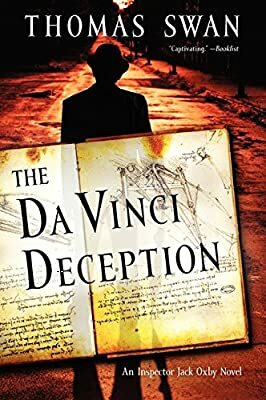 . .
Celebrated thriller writer Thomas Swan introduces Scotland Yard Inspector Jack Oxby in The Da Vinci Deception—an exhilarating thriller set in the art world. Racing from London to New York to Lake Como, Inspector Oxby is on the hunt for an art forger whose daring attempts to counterfeit the great Leonardo da Vinci have the art world astounded. For fans of the UK television series Lovejoy, the art history mysteries of Iain Pears, as well as books like The Thomas Crowne Affair, this is a novel of suspense not to be missed!